My friends and I have dined at Marty’s Cafe for breakfast and lunch. Both times we totally enjoyed the plentiful and unique presentations served to us by a very friendly staff. In my opinion, Marty is an excellent and creative chef and the total experience was delightful. For Lunch, I tried the Humboldt Fog and Cajun Bacon Burger. Be warned, it is huge! This is one of Truckee’s newest restaurants. It can be crowded, but good places are often full. 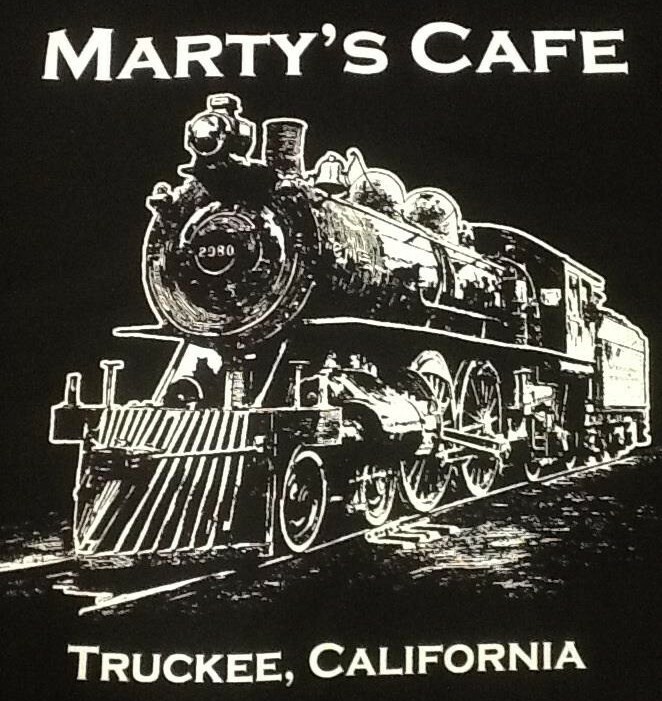 If you are looking for a unique Truckee dining experience, be sure to check out Marty’s Cafe! Reviewed by Andy Wertheim, Tahoe Riverfront Realty.